Light up your summer with STEAM*! A Wondergy science show brings memorable moments to your readers in the form of high-energy, entertaining shows and special events. All of our programs are interactive and engaging – while still focusing on education. Our 45-90 minute programs are great for children and teen groups of 20-500, and sometimes 5000! To celebrate the 2019 Summer Reading Theme, “A Universe of Stories”, space, and the Apollo Moon Landing this summer we’re highlighting shows focused on the space and robotics. We are available for shows throughout the year, and can customize or build programs to support your community. Call or email us to check availability and book your show today! *STEAM = Science, Technology, Engineering, Art, and Mathematics. Experience the crazy things that can happen in the coldness of space with CoolScience. 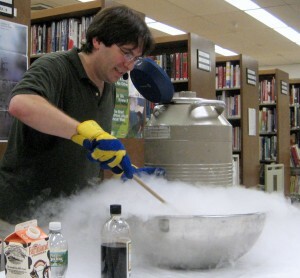 See objects freeze in an instant, or heat up liquid nitrogen until it explodes from it’s container! We’ll make balloons shrink and grow back to their original size, all while exploring the science behind it all. For our finale, let’s bring together fresh cream, milk, sugar, and flavorings to make the freshest ice cream you’ve ever had! Planetary landings and far away flybys need robots that think for themselves. Spacecraft maneuvers happen faster than signal can reach us on earth. So let’s see how robots can automate things down here on earth! 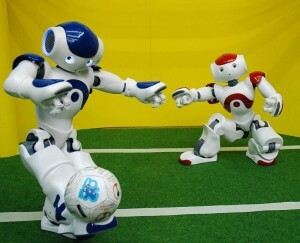 Want to dance with a robot? We’ve got you covered. Get rockin’ this summer with RobotScience. From balancing robots to super-cute humanoids, explore the basics of robotics. If you have the space for it, some can even fly! This interactive program explores the basic concepts of sensing, moving, feedback loops, and programming. Discover how we, and machines, interact with the world! Great for up to 150 children and/or teens. Requires only a table, an outlet, and curious minds! To add more hands-on experience, let’s make Squishy Sensor Circuits–best for groups of up to 30 volunteers. 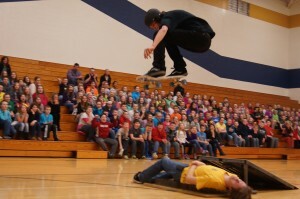 For a HUGE interactive show, skateboarders join our scientists for SkateScience. Explore the science behind awesome skateboarding flips, jumps, and tricks. Our first stop is exploring the science behind sport safety – by lying on a bed of nails! From there, the sky is literally the limit. We may levitate a volunteer or leap over a librarian! Fantastic for audiences of 100-1000. SkateScience requires a large, flat area. Parking lots and school gyms with wood floors work best. See amazing skateboarding tricks, and learn about the physics that make them work! 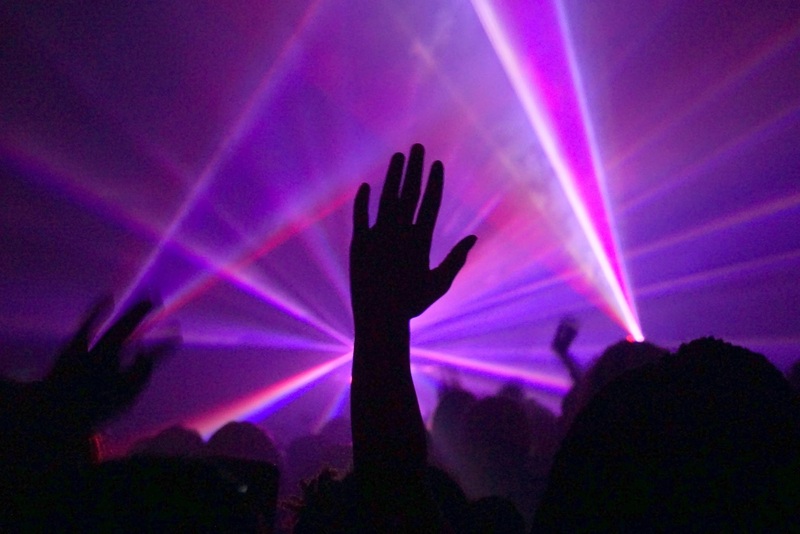 LaserScience starts with a single point of light, and quickly develops into a fully animated professional laser show. Your readers will learn why a laser show works and how our eyes make one point of light into the spectacle in front of them. Include your own logo, or slogan as well! Wonderful for audiences of 50-800. Some venues can accommodate more. The LaserScience show needs a tall, dark space. Pitch black works best. Any windows in your space must be covered. Smoke detectors need to be set to test, silent, disregard, or otherwise controlled during the show.